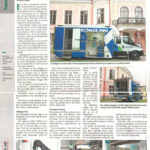 Worxpace PRO was published in Denmark: the Danish Transportmagasinet ran a story about „A mobile workspace in size XL“. 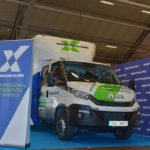 You can check out the Worxpace PRO demo Service Truck at the exhibition Transport 2019 in Herning on 21-23 March at the stand C-2570. 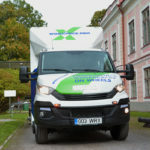 The new Worxpace PRO Service Truck that is a comfortable mobile workspace for the heavy machinery servicing industry participates in Tartu Motoshow exhibition on September 28-30.